I.N.K. : Who was The Mad Potter of Biloxi? 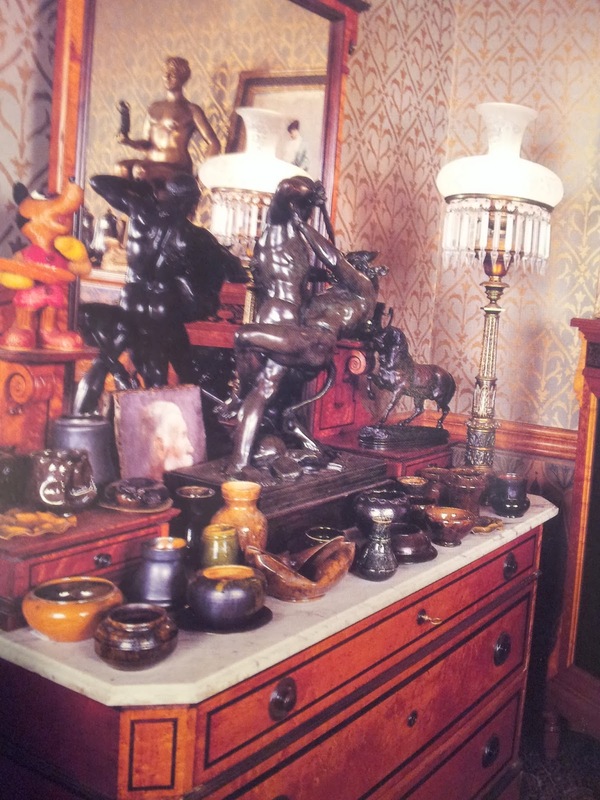 Back in the 1980’s an art dealer in L.A. invited me to see his collection of pottery by an artist named George Ohr, who had died in obscurity in Biloxi, Mississippi in 1918. “Ohr called himself The Mad Potter,” my friend told me. “The ceramics establishment thought his personality, as well as his pottery, were too flamboyant. 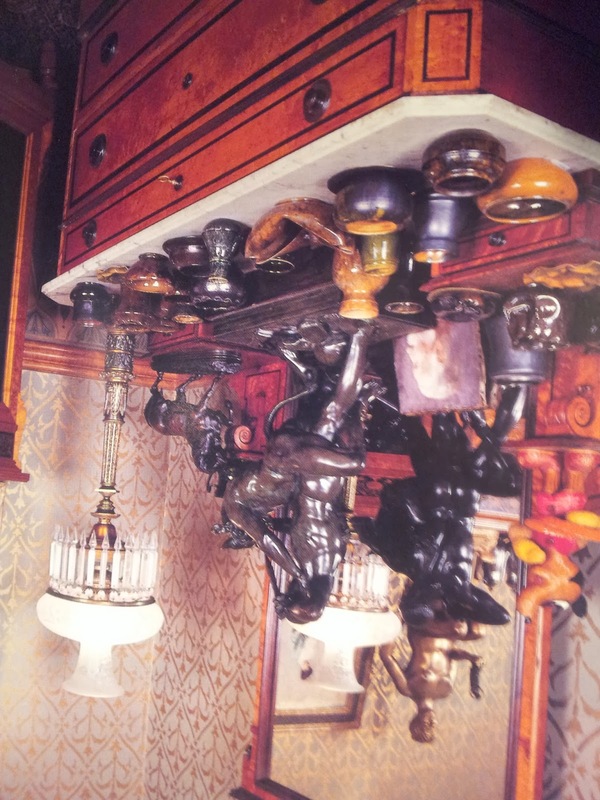 He was ahead of his time.” Fascinated by the Arts and Crafts Movement, I had started my own modest collection of green matte pottery from that era, which I found at various flea markets, “antique” malls and junk stores. But I’d never seen anything quite like the crinkled, wrinkled, distorted, abstract pots by George Ohr that lined the shelves of this man’s study. I ended up buying a small mug with a metallic glaze and a whimsical snake wrapped around it. A few years later when Sandra Jordan and I began writing books together, we often took breaks by going on what we called “field trips.” Museums, galleries, movies, plays, bookstores, gardens, restaurants, even a party or two constituted these forays away from the computer, out of the study. Wandering around flea markets or antique stores were favorite outings. Sandra was on the lookout for glass fan vases, while I hunted green pots. In Lambertville, NY, after a presentation at a Children’s Literature Festival, we stopped by David Rago’s gallery and discovered we both were fans of George Ohr’s pottery. And so the years went by, as we wrote twelve books on the arts and settled into a collaboration that sometimes makes us behave like an old married couple. 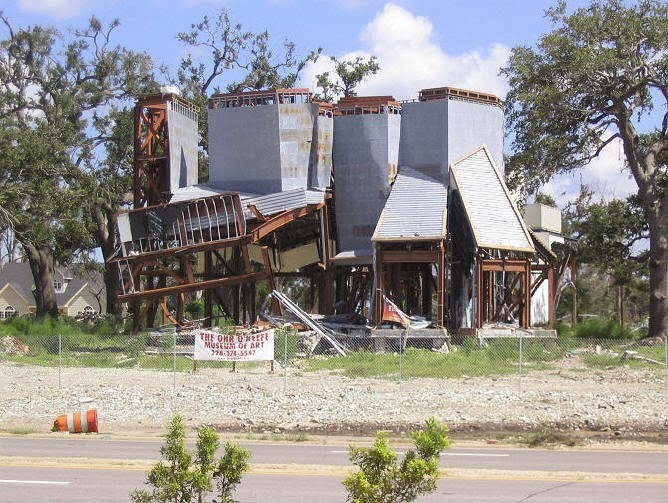 At an ALA conference in New Orleans several years ago, a field trip in and of itself, we had a free day between an award ceremony and a panel, and decided to drive to nearby Biloxi, Mississippi, where the architect Frank Gehry (we’d written a book about him) had designed a museum in honor of George Ohr. It had been leveled in 2005 by a gambling barge that had been lifted off its’ moorings during hurricane Katrina. 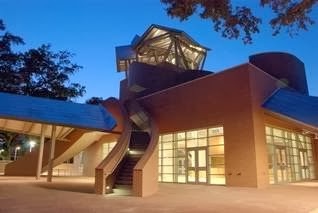 The Gehry museum buildings finally were in the process of being rebuilt. We’d been invited for a hardhat tour. 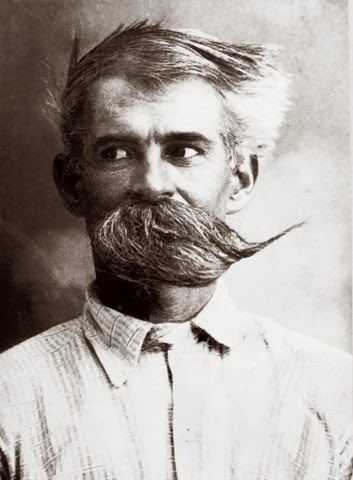 There we discovered through vintage photographs and reference books that not only were George Ohr’s pots wild and interesting but so was his life. Then there were coincidences, besides our shared interest, along with Frank Gehry, in Ohr’s work. When we researched Andy Warhol’s life for Prince of POP, we discovered Andy collected Ohr pots. 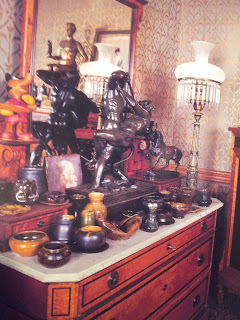 Here is a photo of some pieces that were in his house in New York City. 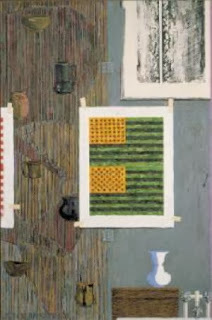 The artist Jasper Johns collects Ohr pots and even reproduces them into his paintings. Now The Mad Potter: George E. Ohr Eccentric Genius is out and people are saying Who? Who is George Ohr? It seems like a remarkable turn of events to find out that he died in 1918, mostly unappreciated, and more than fifty years later was heralded America’s most important turn of the century potter. A tale of redemption for an artist, who, like Van Gogh, believed passionately in his own talent, worked hard, and finally received the attention he deserved. 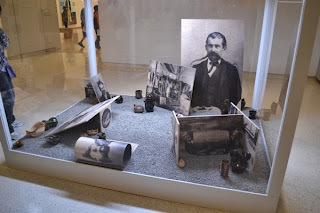 FYI: If anyone happens to be in Pittsburg, visit the Carnegie International art exhibit, where a French artist, Pierre Leguillon, has created an amazing artwork, a vitrine filled with photos of George Ohr and pieces of his ceramics, placed on a sandy surface, perhaps a nod to the beaches of Biloxi. Such an interesting subject, Jan. I remember you going off to do some research when we were at ALA. So this is where you went. Love the photos. Vicki, it was thrilling to see your review on Huff Post. 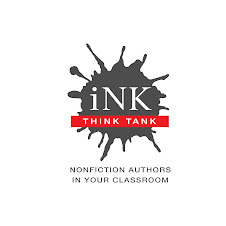 A public thank you for that and all you do to promote nonfiction for young readers and I.N.K. Susan, I am so glad you liked the photos. I had fun hunting for them and finally figured out how to put them on my post. Happy Thanksgiving to all.